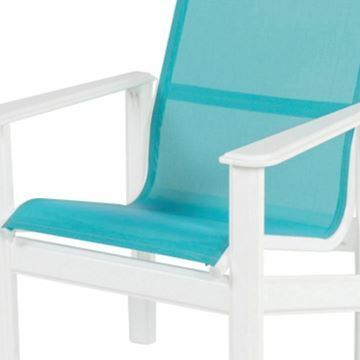 Hampton Bar Chair Fabric Sling with Marine Grade Polymer Frame, 50 lbs. 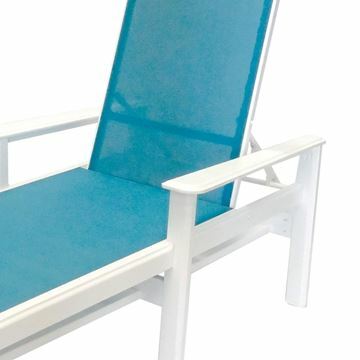 Hotels, Resorts, and beachside restaurants, among other establishments, have upgraded their dining patio furniture with this modern designed Hampton Bar Sling Chair. 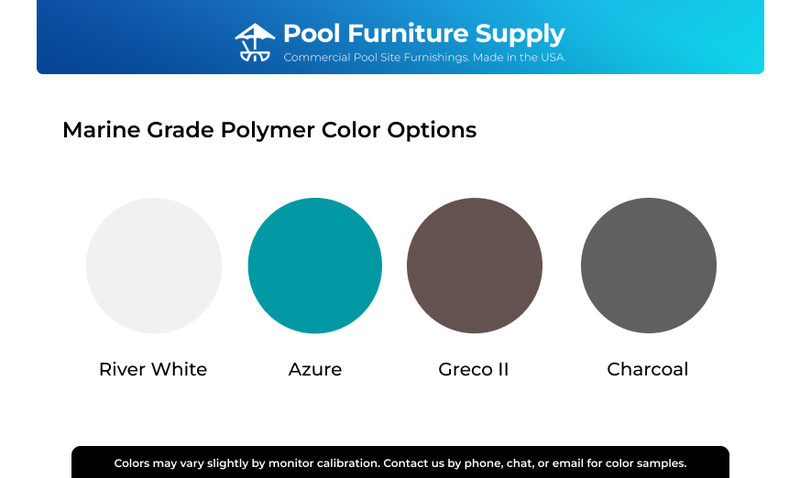 Featuring a heavy-duty Marine grade polymer(MGP) frame that is the most durable material used for commercial grade pool furniture, today. All fastenings are made of long-lasting stainless-steel hardware. Fitted with a comfortable Grade B double stitched, heat sealed sling fabric that comes in a variety of attractive colors. 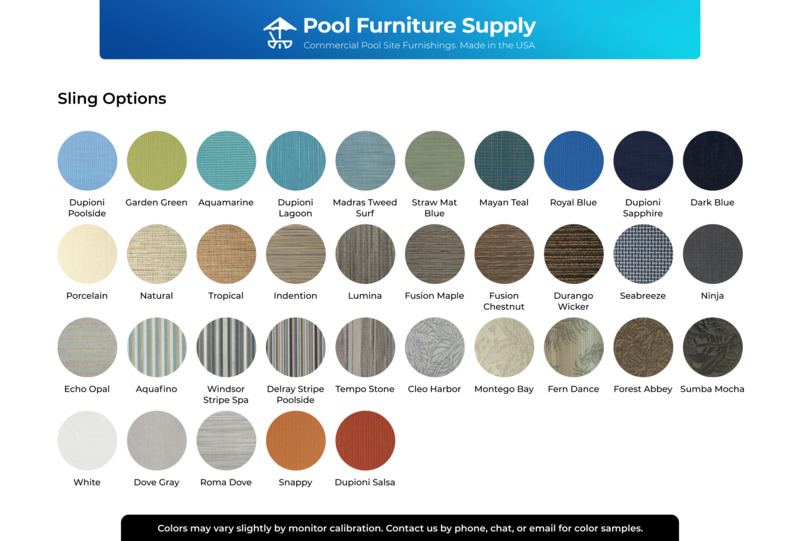 We provide a 5-year warranty against frame breakage and a 1 year for slings under normal conditions for this Hampton Sling Collection. Hampton Chaise Lounge Fabric Sling with Marine Grade Polymer Frame, 63 lbs.